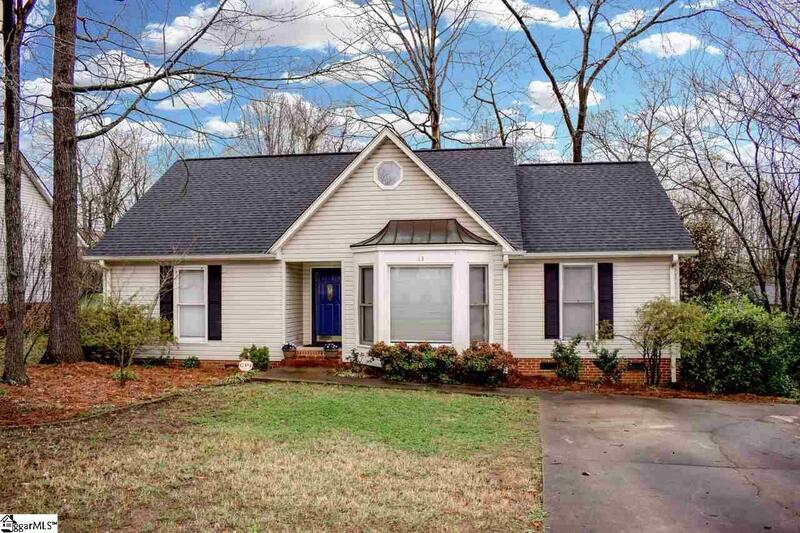 Amazing value in this extremely well located Greenville home! Be anywhere in town quickly, with great schools to boot! You will be the envy of the neighborhood with your very own inground pool this summer! Time for a summer cook out, music, and fun on the deck and patio areas! 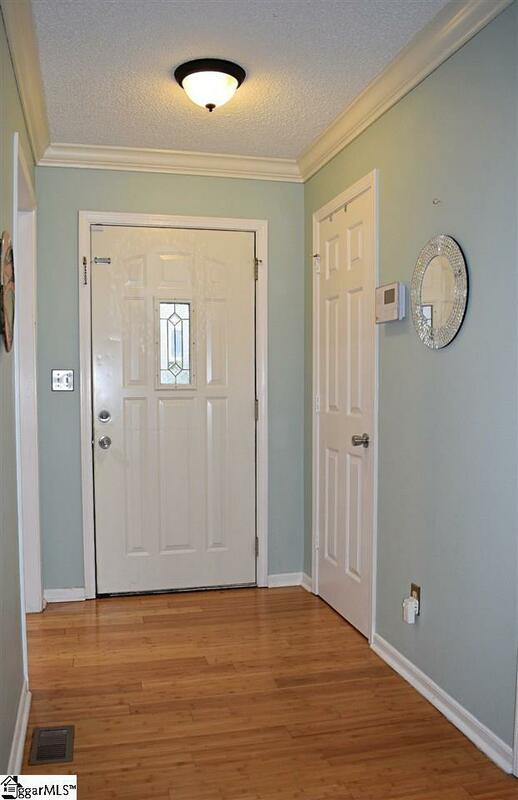 Inside, you will be greeted by bamboo hardwood floors throughout the high traffic areas! Soothing paint colors can be found throughout this home! The eat in kitchen has wood cabinets, a view into the great room through a pass through, glass door cabinet, and stainless steel appliances. Even the refrigerator conveys! 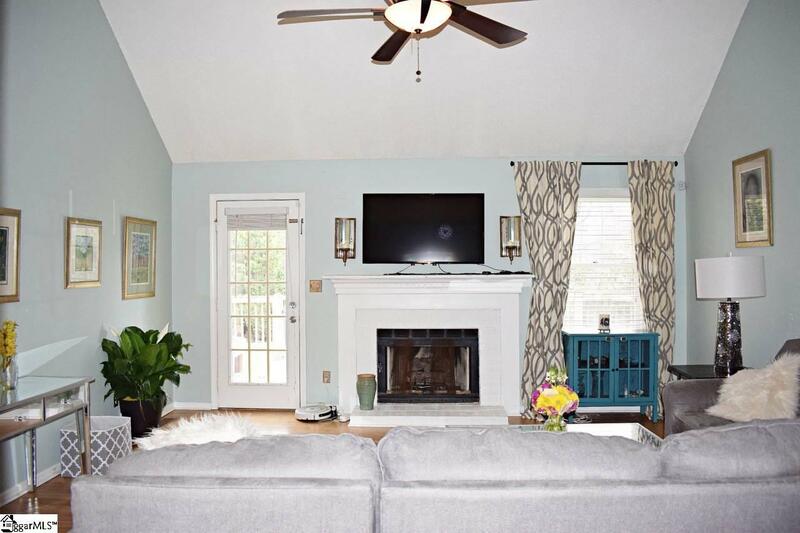 The living room is fantastic courtsey of vaulted ceilings, fireplace, and door to the oversized deck - 31x17!! The split floor plan gives the master bedroom much privacy. A large walk in closet, and oversized tub/shower combo are two additional highlights of the spacious master suite. The secondary bedrooms, are good size, and the shared bath has solid surface counter tops and crown molding. All bedrooms have walk in closets! Outside, you will find copper accents over the bay window, fenced in back yard, and pool has a new pump this year per seller. No home owners association, and mature trees give this neighborhood an established feel. 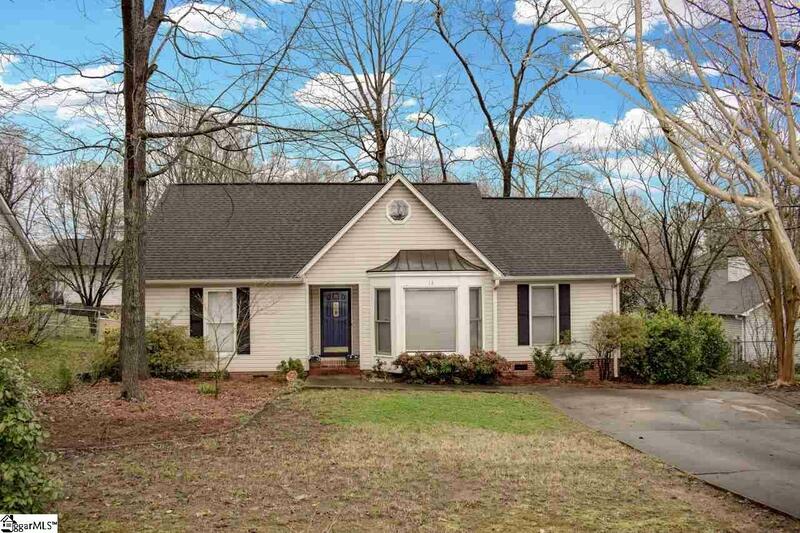 Dont miss this lovely Greenville home!